How you doin'? Does this line ring a bell? Yes, this is Joey Tribbiani's famous line in the TV series FRIENDS that has worked its way into everyday use. Can you name his other 5 friends as well as their famous lines? How about the legendary guest stars who appeared on their TV show? Do you know every single detail about them? Like what Ross’s middle name is? Or what the neckline on Monica’s wedding dress was? Do you remember what the gang ate for Thanksgiving dinner in their very first season? Well, if you find yourself always daydreaming about drinking tea or coffee inside Central Perk, then these quizzes will surely be a real test of your knowledge of the very iconic TV series, FRIENDS! What's more, we also have fun friend quizzes to quiz your friends with. So no one ________ your life was gonna be this way. Test Your Knowledge On the "Friends" Theme Song! It's like you're always _________ in second gear. You're still in bed at ________ and work began at _________. Phobe says "hes her BLANK" to represetnthe realstionship between Ross and Rachel in the early espisodes. What seasons do you find you get the hint that Rachel is pregenat? Which character(s) have kissed everyone on the show both boys and girls? In The One After "I Do", it is revealed Joey wears what sized shoes? Friends started in which year? Jennifer Aniston dated which of her charcters boyfriends from the show? Which Friends girl are you? What is the colour or nearest colour to your hair? What was your life like when you were young? Some things you would have changed but it was ok.
You were really privilaged, spoilt and popular with extremely rich parents. Your childhood was tragic and tough but you managed to stay cheerful and get through it. Are you smart and organized like Monica? Fun and free spirited like Phoebe? Or a hopeless romantic like Rachel? Take this quiz to find out which girl from “Friends” you are the most similar too! Friends Quiz! What Friends Character Are You? Are you a true friends expert? take this quiz and find out! What pets do Chandler and Joey get in season three? Are You F.r.i.e.n.d.s. Biggest Fan? How well do you know F.R.I.E.N.D.S? Take this short quiz to find out! How do you spell Phoebe's surname? 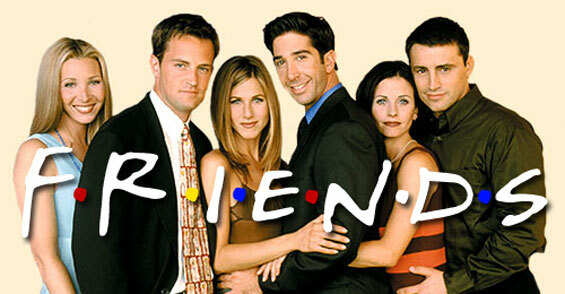 "Friends" is a legendary TV show about 5 friends and their lives. The were funny, exciting, crazy and a lot more for 10 years. Complete this quiz and find out which "friends" character you are. Are you confident while talking to someone you like? Which city is friends held? Take this quiz and learn more about friends television show! What date is Ross's birthday? This test is about the well known series called "Friends"
Did Chandler ever kiss Rachel? What does Rachel want to be in her metaphor? Find Out Which Character From Friends You Are! Find out which character from F.R.I.E.N.D.S you are! Someone buys you an expensive looking necklace for you're birthday, but you don't like it. What do you do? Okay. So even tho I'm a greek god, I still have mortal friends. There are Mimi, Diane, Cayla, and Shaun. Who are you? Or, are you like me? This friends quiz is very challenging. Only true friends fans will be succesful. What was Lakshmibai's (Rani of Jhansi) name prior to her marriage ? How well do you know Friends Series 1? In Phoebe's song Your Love from the first ep, what sort of creature is 'crapping on my heart'? Are You Truely Best Friends? Have you been wondering if your friend is a true friend? Have you been wondering if you are a true friend? First of all, how long have you and your friend known each other? Do You Have True Friends? Do you have true friends? Take this quiz to find out? What does the word in bold mean? This is not even a DATE. It's just two people going out to dinner. A test that shows if you are a god, great, or bad friend. Good luck. Do you sit by you're friends or do you only sit with the ,"pops?" You should know this. Duh my friends. Both but most the time with the,"pops!" Friends, Do You Know ? Who is the composer of Dasbodh ? This test is to see if you are a aquaintance, friend, buddy, best friends, or closer. How often do you want to hang out with your friend? Does she/he play with you? Answer all the questions about the US comedy FRIENDS! Where did Chandler have to fly to, to avoid a date with Janice? How Well Do You Remember The Last Episode Of "friends"? Test your "Friends" fandom with this quiz. Do you remember that amazing final episode? Try to answer these questions about "The Last One," and see if you really are a "Friends" superfan! In the last episode of "Friends," who confesses their love for Rachel? Which one of my friends are you most like? Take this quiz to see! For all fans of friends!! Are You Close To Your Friends? I Am Close To My Friends Time Too See If You Are! You Were Talking With Your CRUSH And Your Bff Asked To Sit With Her What Would You Do? Which F.r.i.e.n.d Are You Most Like? Want to know which friend you can relate to most? Find out now!